1. Cloud 9:It’s cloud 9, there’s nothing more to be said. With their recent victory in iem san jose against the likes of Alliance, it’s undeniable that they are still in top form amidst the preseason zzzs. Cloud 9: It’s cloud 9, there’s nothing more to be said. With their recent victory in iem san jose against the likes of Alliance, it’s undeniable that they are still in top form amidst the preseason zzzs. Furthermore their history as a team (with 2 first place finishes and 1 second place) has shown that they are nothing but consistent. Tsm: Along with cloud 9 comes the next Na powerhouse, TeamSolo Mid. Although many people, as of this moment, are very skeptical and maybe even doubtful of Tsm’s ability to make a top 3 finish this split, I am one of the few baylievers. Tsm’s history as a team has shown one thing, they don’t place below top two in domestic competitions. Ever since the institution of the lcs, tsm has had finishes of 1st, 2nd, 2nd and 1st. The big question mark most people have is with santorin, their new jungler. All I can say is that tsm is gonna finish top 2 whether they like it or not, regi has made it a point in the past that winning is what matters most, and if tsm is struggling at any moment during the season, it can be assured that someone is getting the boot. Team Liquid: Looking at others’ Na lcs ranking, one thing I see quite frequently and which also irks me is how much they are hyping up team liquid. Yea getting piglet, a world champion as well as one of Korea’s top ads is a big deal, expecially when paired with Na’s best support. However the language barrier as well as the relatively no-name mid that they have picked up, still leaves me less than hopeful for a top 2 finish. Team Impulse: This is one of the teams that I’m sure many people will be like “wtf?”. Although team impulse only has 1 of its players from its original lineup left (xiaoweixiao), the rag-tag group that it has put together in the preseason has been, for me at least, somewhat promising. Their botlane is probably gonna be trash, but the jungler and top laner they picked up are both talented individuals, and one of them even has a load of international experience. Impact is the 2nd s3 world champion to come to Na, and like piglet there is a lot of hype around him, and rightly so. He isn’t one of those washed-up koreans or korean solo q stars that get recruited, but he’s a proven and tested veteran that knows how to win. Lastly there’s xwx, Na region’s arguably best mid. 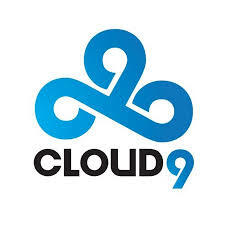 As long as he doesn’t pull a mandatorycloud, where he suddenly starts sucking after the departure of his old jungler, then I still have high hopes for him and his ability to carry his team to victory. Counter Logic Gaming: “Is this going to be our season? !” Counter logic fans maybe asking, my answer to that is no. Clg’s new roster leaves a lot to be desired, mostly in its jungle and mid position. Over the preseason Clg successfully poached Zionspartan, a player who is a big upgrade to seraph, their previous top laner. Seraph and Zion share very similar playstyles in that they excel in carry top laners, and struggle in team fight environments. However zion has two things over seraph, the ability to speak and understand English as well as a sound mind that prevents him from tilting. In the jungle they kick out their European export, Dexter, and bring in an old dog with hopefully new tricks, Xmithie. In his prime Xmithie could make the case for himself that he was the best jungler in Na, or at least top 2, but sadly Xmithie hasn’t been in the competitive scene in more than 8 months and his final moments in the big stage have been nothing but disappointing. And in midlane returns the missing L1nk. A magician that vanishes in every important match, but makes magic in certain occasions if he so desires. If Xmithie comes back to his former glory and if L1nk becomes good, it’s certainly possible for clg to make a run for top 4 or even 3. Team Coast: If Cris vastly improves and stops feeding, I can see coast finishing fairly middle of the pact. If not I am sure some top tier Na teams could use a decent European jungler. Their roster overall is pretty decent, except for top of course, Jesiz was pretty good in EU, does what he needs to do, and the botlane of Mash and Sheep has proven that they are one of Na’s up and coming duo. Team Gravity: Also known as Crs.bench, with former crs players such as Cop, BunnyFUFU and Stvicious, is one of the lower tier teams that I feel has potential. In mid there’s a promising young Korean boy named keane, who likes ponies and can play a pretty good orianna and zed. Annnnd that’s his champion pool. In top is a relatively no-name white guy named Hauntzer who is supposedly pretty good and has played in a bunch of amateur teams. We know saintvicious and cop, the guy that’s famous for missing smites and the guy who’s famous for being mediocre and passive. I however think that they fit this team perfectly and with their vast experience and expertise, which can help this team avoid relegation. BunnyFuFu is overhyped and can only play thresh at a high level, if he improves his champion pool, however, he can make a name for himself as one of Na’s best supports. Team Winterfox: One of the few reasons why I didn’t rate them any lower is because I think their logo looks pretty cool. Hopefully the notorious P.O.B as well as his crime-fighting duo Altec, the adc prodigy, can prove me wrong and carry this team full of no-name koreans to a respectable placement in Lcs. Team 8: I know…I know, Dig fans right now are probably like “wtf, what’s this bs?!? !.” Their roster is filled with relatively no-name high Na solo q players, but they do have one thing, and it’s called potential (Clg please don’t sue me). These group of guys, from watching their games, seem to really mesh well and their top laner, CaliforniaTrLolz, has probably one of the best shot calling in Na. Team Dignitas: Usually when thinking of Dignitas you automatically think of that team that does really well in the first half of the split then they crash and burn near the end, usually facing relegation. However, this split it’s different, crumbzz is showing his inconsistency and mediocre play again as well as the return of KiwiKid, one of Africa’s heroes, has made me quite dissapointed. Not to mention the korean guy they got for adc, who I can’t even remember the name, has been nothing but underwhelming, losing lane to an amateur adc from Turkey. Top this off with the passive Shiphtur, who’s main priority is his kda, as well as any communication issues that will arise, you got your Na Lcs 10th place finisher.